Over the past 4,000 years kayaks have continued to gain more and more popularity as they go. Kayaks were originally invented by the Aleut and Inuit Peoples who lived around the Arctic Ocean shores. The frames of the kayaks were originally composed of wood or the bones of whales and were covered in the waterproof skins of seals. Kayaks back then and even still to this day were used for hunting purposes to catch narwhals and other whales. Today Kayaks come in a wide range of shapes sizes and varieties that are meant for different purposes. We will go through the most popular categories below. Recreational Kayaks come in a wide range of shapes and sizes. There most defining characteristics however, are that they provide ample stability and are relatively easy to use. 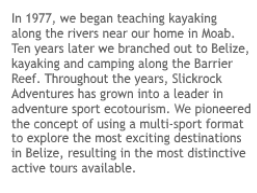 Recreational Kayaks are usually the starting point for kayakers getting into the sport and can be used for a wide variety of reasons such as fishing, day paddling, photography among other uses. Typically Recreational Kayaks start as low as around $200 and can go as high as $1000 in price range. These kayaks have gained more and more momentum in the industry lately because of the increased demand for them. Many people are starting to downsize and do not have enough room to store giant hard shelled kayaks so they turn to the inflatable kind. As demand has been increasing so too has the quality of these kayaks. Typically the rule of thumb on these kayaks is you get what you pay for in terms of performance and paddling quality. However you can still get very durable kayaks for under $100. Typically the difference between a $100 kayak and a $1000 + kayak is the fact that the $1000 kayak is faster, paddles more smoothly and had more tracking ability to it. Some can even compete with hard shelled kayaks. Touring and sea kayaks are typically more expensive than most types of kayaks ranging from $1000 + in price. The reason why is because of the design, quantity, and quality of materials put into these kayaks. Some are made of high quality rotomolded Polyethylene while others are made of lighter weight fibreglass and composites. The design and material make the kayak lighter which in turn allows you to paddle faster and travel greater distances. 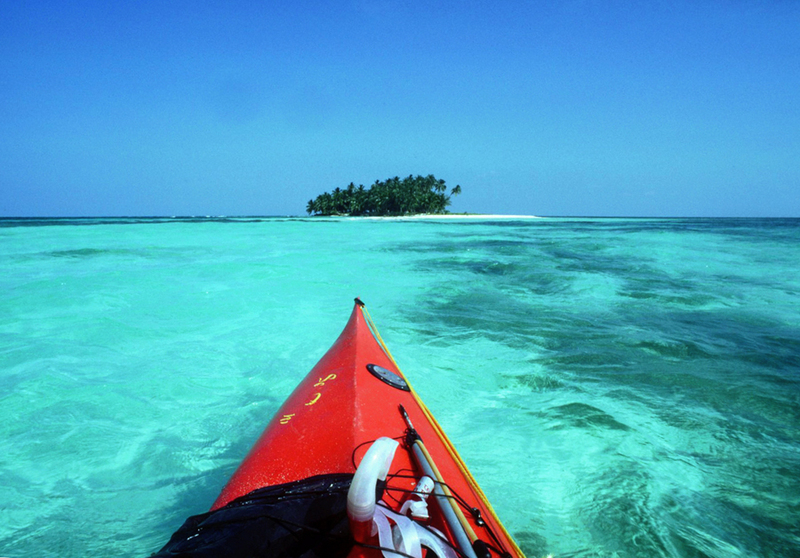 Sea Kayaks are usually much more slender which allows you to cut through the water with relative ease. They can be used for day or even multi day camping trips. Be advised that you should at least be an intermediate paddler before attempting going into the ocean with these kayaks. These types of kayaks have really taken off over the past years and have been one of the biggest growing items in the fishing industry. More and more people are choosing fishing kayaks over canoes for a variety of different reasons. One they are usually lighter than a canoe. Two they provide ample customizability where you can include fishing rods, live wells as well as fishing crates and tackle which can be added onto the kayak. Three they are more stable. Fishing Kayaks today are built to be very stable and some can even be used for stand up casting. Fishing Kayaks range from a wide variety of different prices but typically the more expensive it is the more customisable and better suited to fishing it will be. 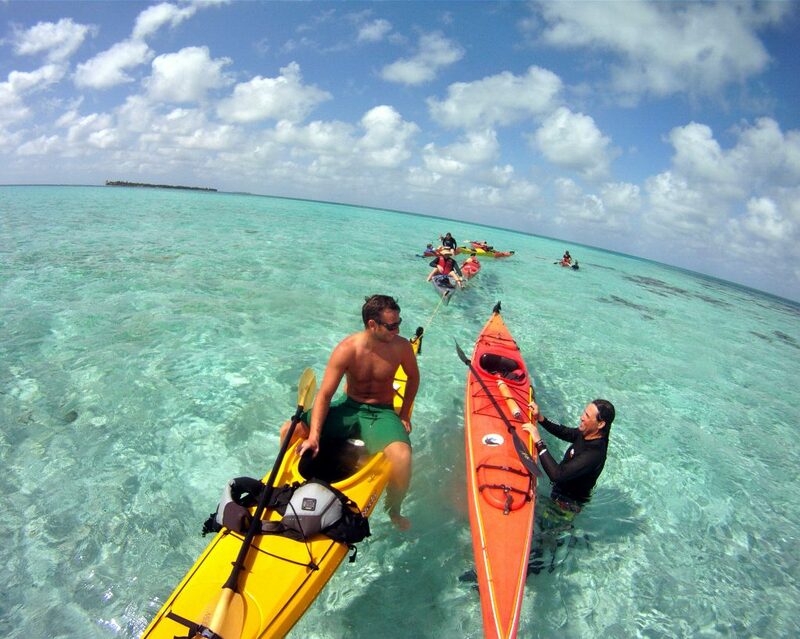 Most Sit On Top Kayaks are used for either recreational or fishing/ diving purposes. They usually provide more room than sit in kayaks because of their open deck and storage hatches. Most Sit On Top Kayaks are built to be super stable so that you can fish or paddle with confidence without worrying about capsizing. They come in a wide variety of different hull shapes and can be anywhere from $300 and up. 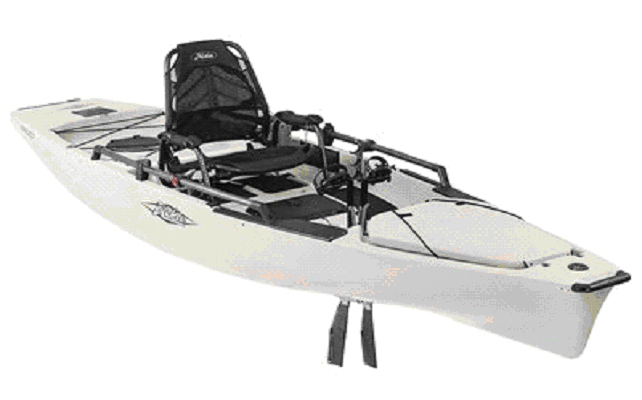 These kayaks are built to sit two or more people and as a result have a higher maximum capacity than most kayaks. 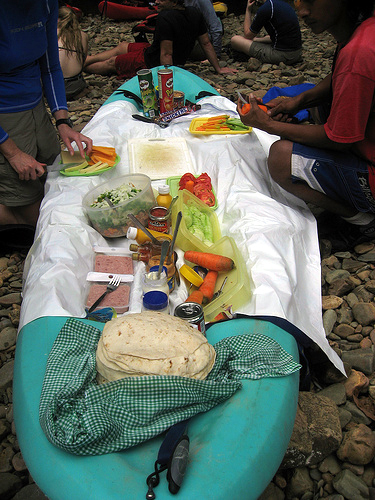 Tandem Kayaks come in virtually all forms such as Sit On Top, Touring, Inflatable , Fishing and even Recreational models. Before getting into these boats you will have to learn how to paddle in unison which can prove more difficult than it looks. Tandem Kayaks are usually more expensive and can be more than double the price of single kayaks. These kayaks incorporate the most advanced designs and materials seen in any type of kayak, and are used by highly skilled experts to navigate all levels of whitewater rivers. They are designed for high manoeuvrability with a high rocker (hull curve) and are always used with a waterproof sprayskirt around the cockpit to allow them to be rolled over and back up without taking on water. The interior outfitting employs tight fitting backrests, thighbraces, and footbraces so that the paddler can instantly translate control movements from his paddle and body to the kayak. 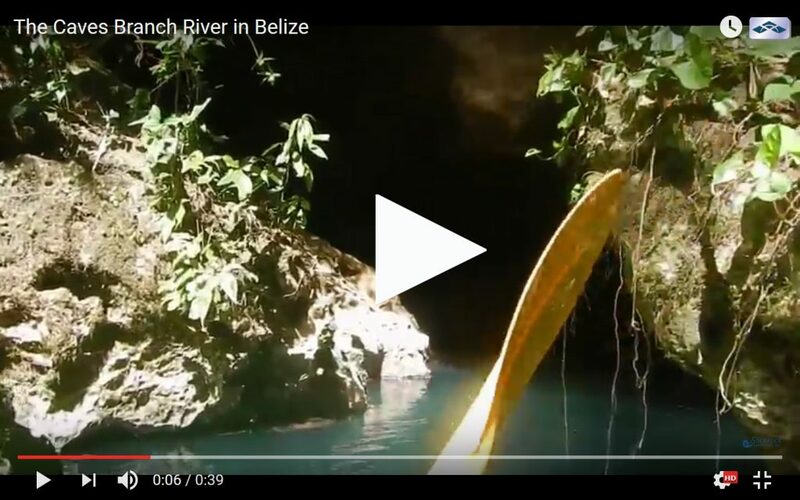 Although this sport looks extreme to the un-initiated, it is relatively safe and a very exciting way to experience the thrill of running whitewater rivers! However, extensive training is necessary to obtain the athletic skills needed to safely run whitewater. There are a few more kayaks out there but these are the most popular and used models. Derek Smith runs a blog called Floating Authority. To find a complete guide on the how to pick a kayak that is right for you click here. 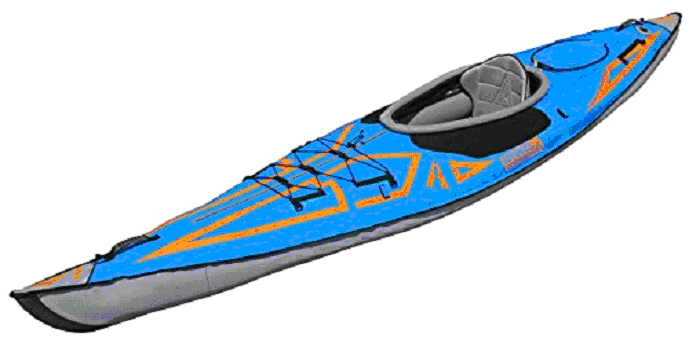 If you are looking at specific types of kayaks visit his home page.